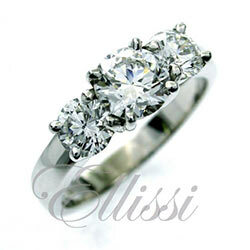 Home / Engagement rings: Custom Design / Princess Cut / “Heidi” Antique style Princess cut diamond ring. 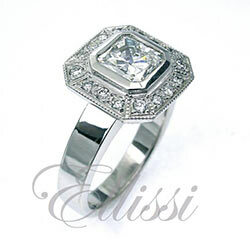 “Heidi” Antique style Princess cut diamond ring. 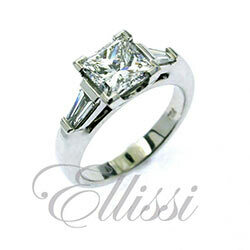 This ring is set with a central princess cut diamond at 1.50 ct D/VS1. The ring setting has 5 diamonds set into the shoulder with a double grooved “mille grain” edge. 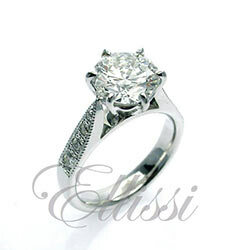 Additionally, the two outer sides are grain set with diamonds which rise up to cover the surface of the central setting.